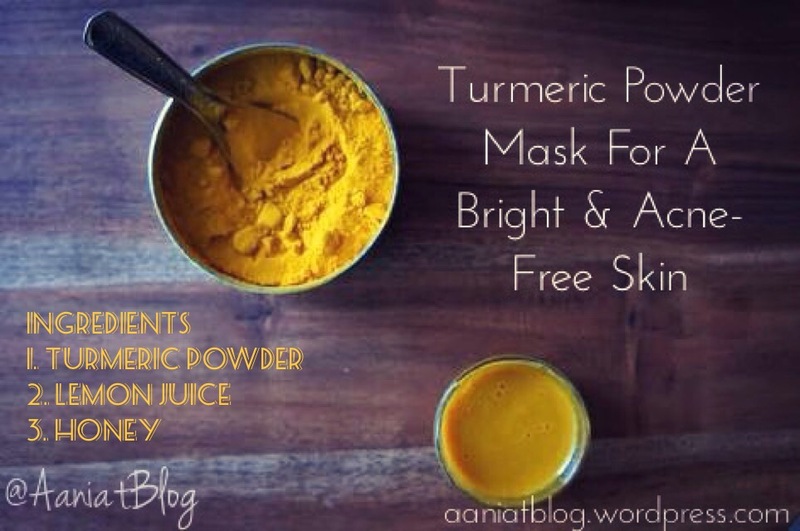 Turmeric powder mask acts as a moisturizer, exfoliator and reduces redness. It brightens the skin and makes it look fresh and clean. Honey is naturally antibacterial, so it’s great for acne treatment and prevention. It slows down aging, moisturizes the skin & helps create a glow & boosts complexion while lemons are rich in vitamin C and citric acid that help to lighten your skin and help you with blackheads & pimples. Together these 3 ingredients can give your skin magical results! 🔮 In South Asia, this mask is an integral part of the bride’s wedding preparations, making her look spotless and glamorous on her big day. 👛 WHAT TO DO NEXT? Mix all the three magical ingredients in a bowl nicely. Wash your face before this mask’s application. Apply it using a brush evenly all over your face and neck. Don’t forget to apply it carefully under your eyes too for fading away dark circles. 🚫 Turmeric is a dye and it can stain anything, so you don’t want it dripping off your face. If yellow colour of turmeric doesn’t go away then wht should we do? It goes away easily. Wash your face properly. I want to get rid from acne I m 15 years old I want flawless,glowing n acne free skin I visited to many dermatologist but it didn’t work plz suggest me any product to get rid from acne without any side-effects I hope that u can help me in this problem!! Try banana mask. It’s really effective. Search it on my blog. Also, read the article about acne on my blog too. Stop using face-washes. Use a cucumber soap instead. I would advice Himalaya Herbals’s Cucumber soap. Do we need to apply it daily? I’ve tried the lemon before and it works amazingly for me (I have really oily skin) but does the tumeric stain your skin? I want to try this though. I’ll post an update comment when I do it! Turmeric powder’s yellowish tint goes away when you will rinse it off by using a face-wash or a soap. It stays there if you use water only.